Every successful company has an ‘Origin Story’. 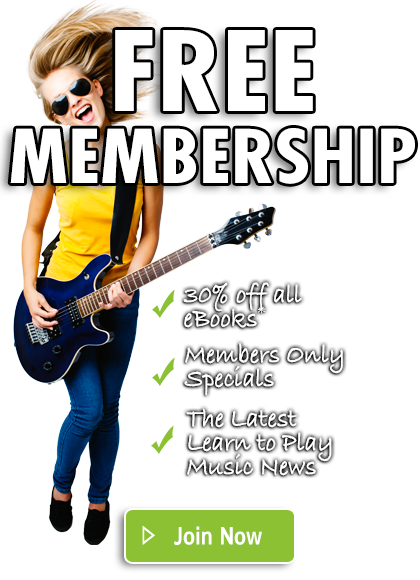 For LearnToPlayMusic.com it began in 1979 with a stuffed toy Koala, two guitarists from the ‘big country city’ of Adelaide, Australia, and a ‘back of a napkin’ plan to conquer the world of music education publishing. For a company that has defied convention by flying under the radar for most of its life, www.LearnToPlayMusic.com (a.k.a Koala Music Publications) has a lot of reasons to celebrate on its 35th birthday. The company has just launched a new ecommerce website, and wrapped up production on the first season of its acclaimed WebTV series, Music Space. Now it has plans to unveil a new state-of-the-art digital music lesson content platform that will provide the next game-changing evolution of the music lesson industry for up and coming musicians who want to play the songs they love and get into the business. For company co-founder and CEO, Gary Turner, it’s no exaggeration to say that he’s as excited about the business today, as he was when he started back in 1979. Coming from the same working-class music scene in Adelaide, South Australia, that had helped to produce Bon Scott, lead singer of rock legends, AC/DC, and many other Aussie rock icons, guitarists Gary Turner and Brenton White, were two young musicians playing in bands and touring around Australia on bills alongside rising superstars like INXS. It may have been ‘living the rock’n’roll life’, but it didn’t pay the bills, and that’s when Gary and Brenton took a calculated left turn and went into the music education book publishing business. “I don’t think we appreciated it at the time, but innovation was the reason we started Koala. As guitarists teaching younger kids, we’d get frustrated by the lack of guitar lesson books teaching the contemporary playing techniques of our heroes,” said Gary. “So, we pooled our savings, and took a chance on writing and publishing our own. Of course, there was no such thing as Adobe Photoshop, or even home computers back then. Our first books were put together with a type-writer, rulers, scalpels, glue and letraset sheets. Even Progressive Guitar Method Book One, which has gone on to sell over 6 million copies, was produced in that old-school method.” Success came quickly, and the duo were always looking for new market opportunities and new methods to produce their books. That spirit of innovation saw the company become the world’s first music education publisher to include CDs and DVDs with their books. Then, in 1999, as the digital revolution was transforming the publishing establishment, Gary, who was by then the company’s sole owner, took another calculated gamble and rebranded the company to, LearnToPlayMusic.com. 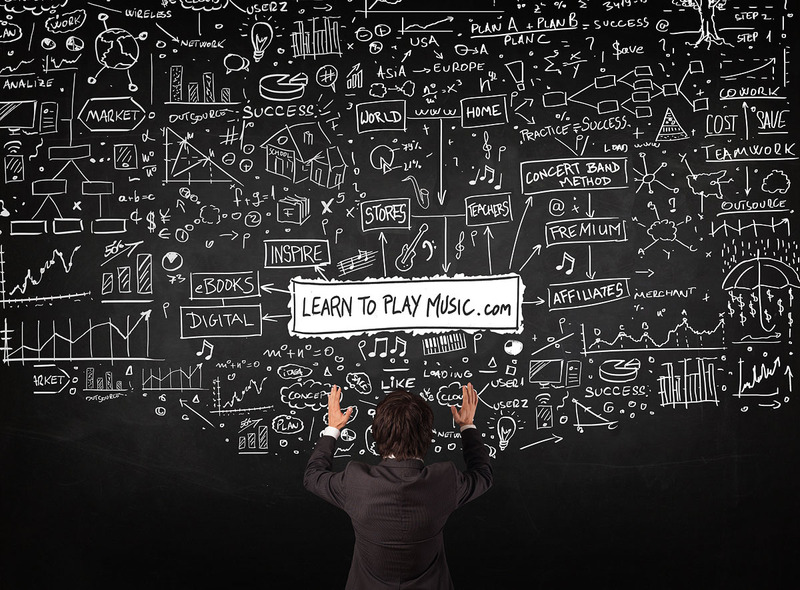 For more information on LearnToPlayMusic.com’s new digital media platform, click here. 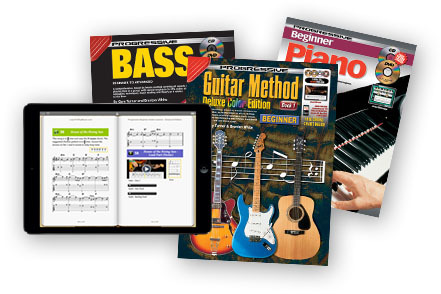 To become a free member of the LearnToPlayMusic.com community and receive 30% discount on hundreds of printed music lesson books and music lesson ebooks that can be ordered directly from the website, click here.